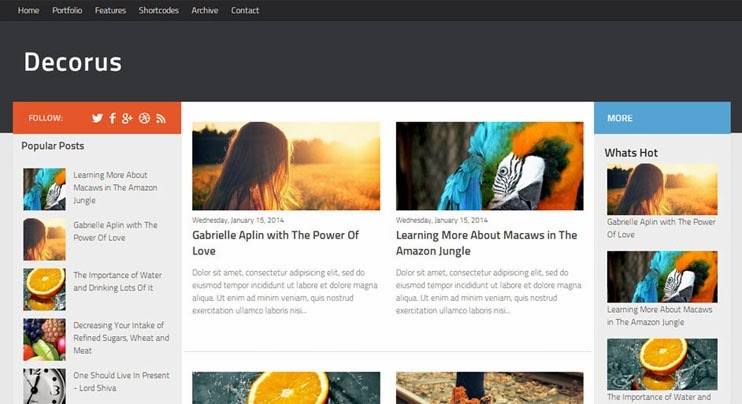 Decorus is a multipurpose style blogger template with simple and sleek design. All the elements in this template has been designed perfectly. And yes of course you can use this blogger template for the blogs of niche technology, portfolio or magazine. It depends on your interest. And do not worry more about SEO because all our template are SEO optimized to hlep your blog get indexed faster than other sites.